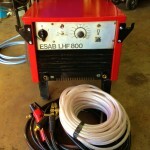 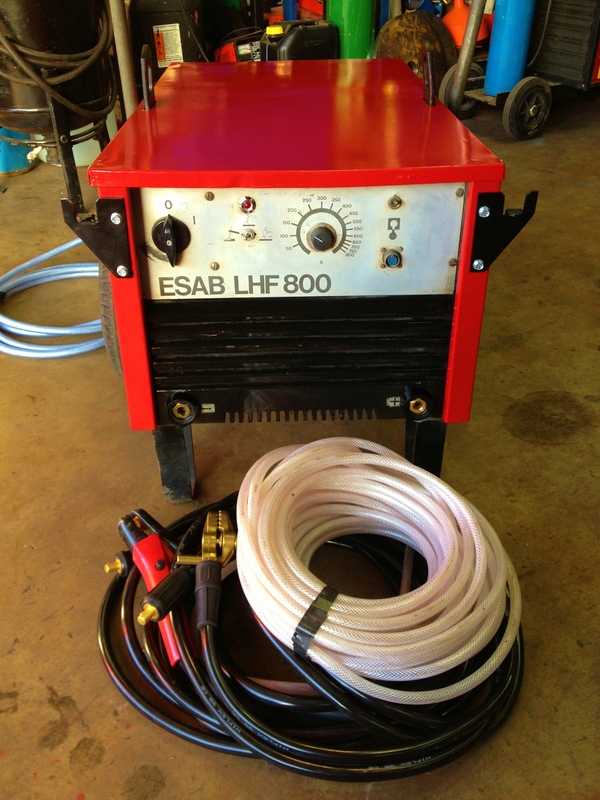 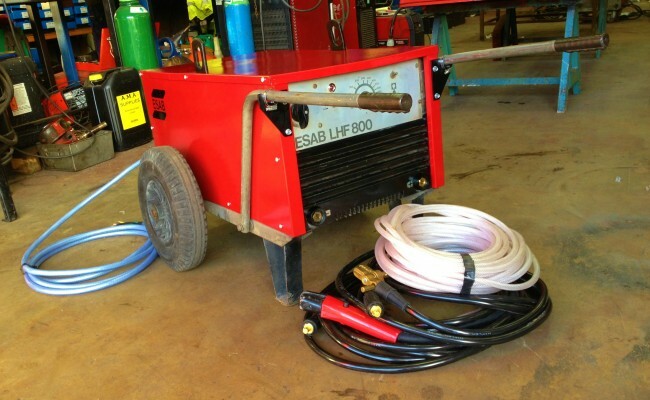 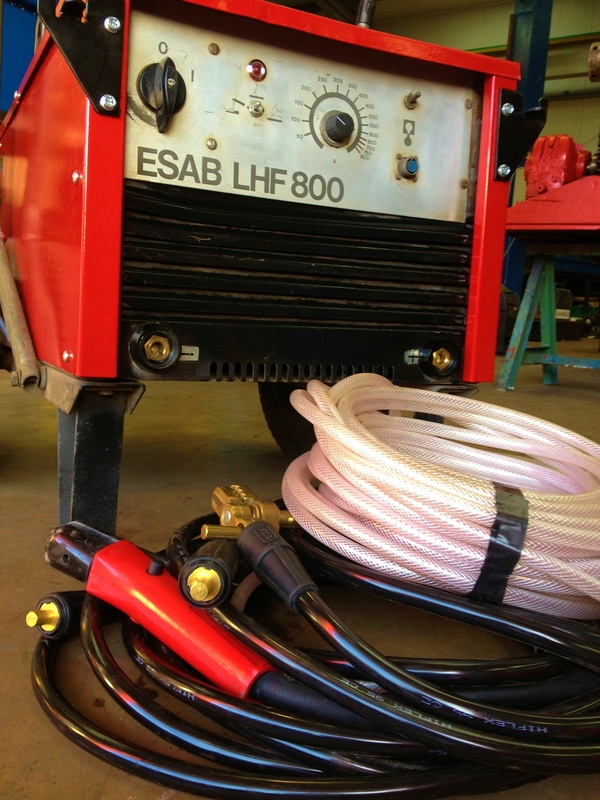 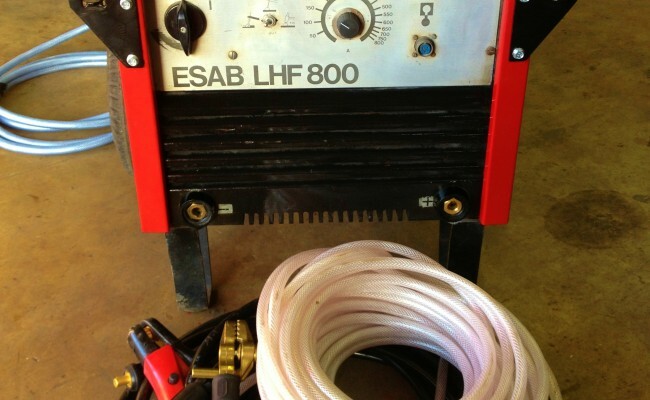 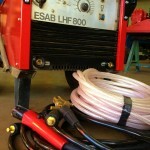 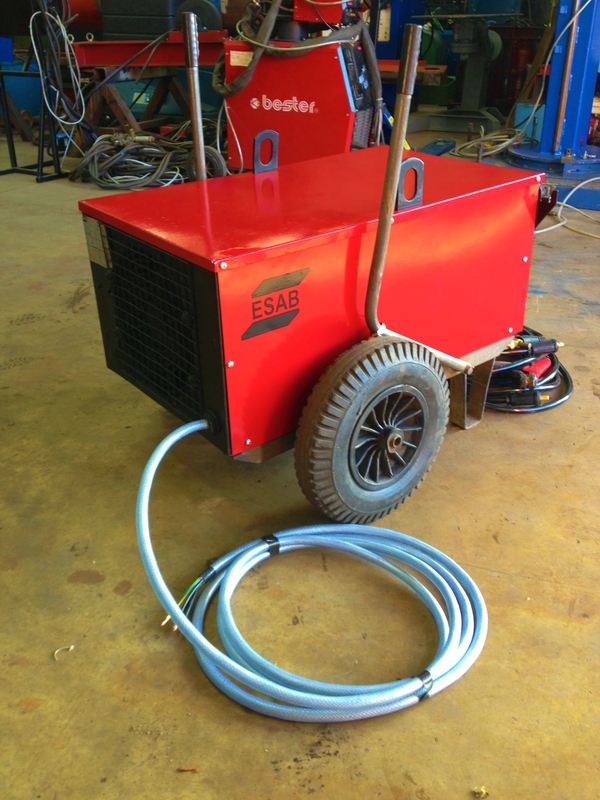 Here is one of our many ESAB LHF 800 air arc gouging machines available for hire, complete with with K4000 heavy duty torch, any length copper power cable extensions, earth lead and any length air hose for compressor connection. 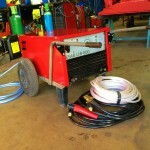 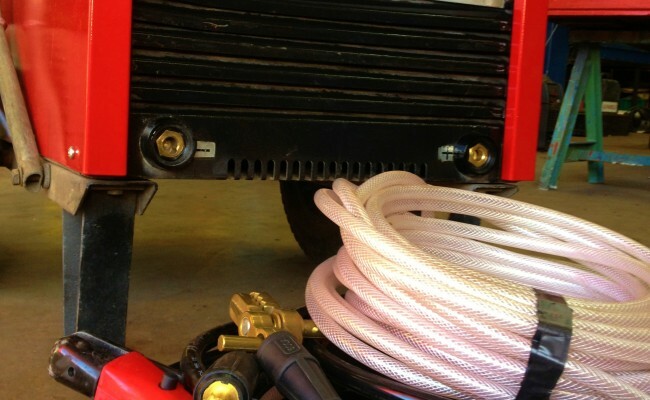 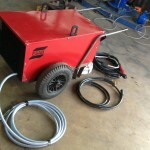 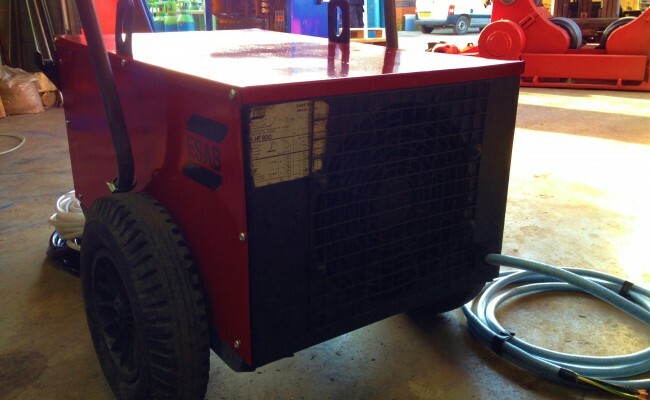 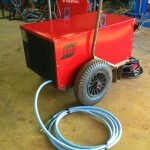 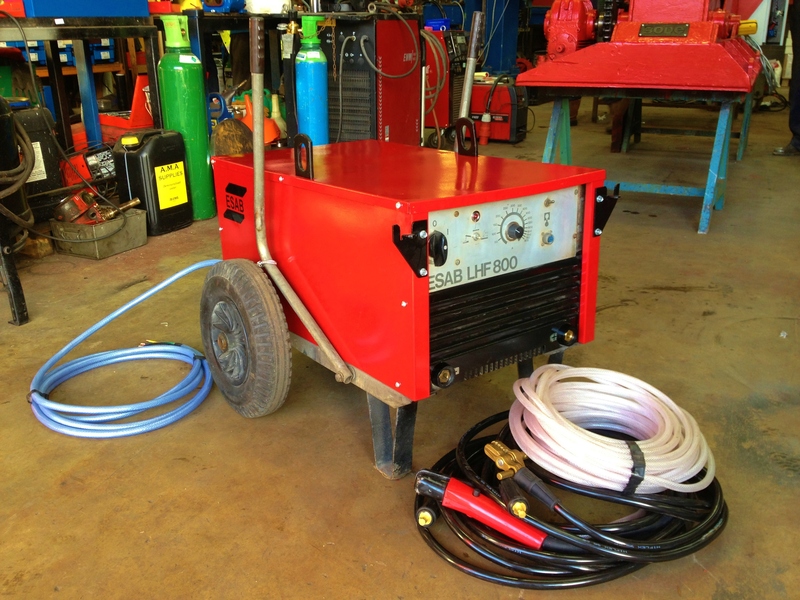 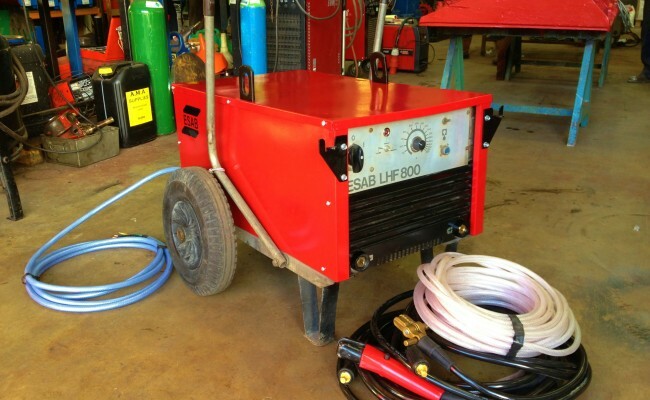 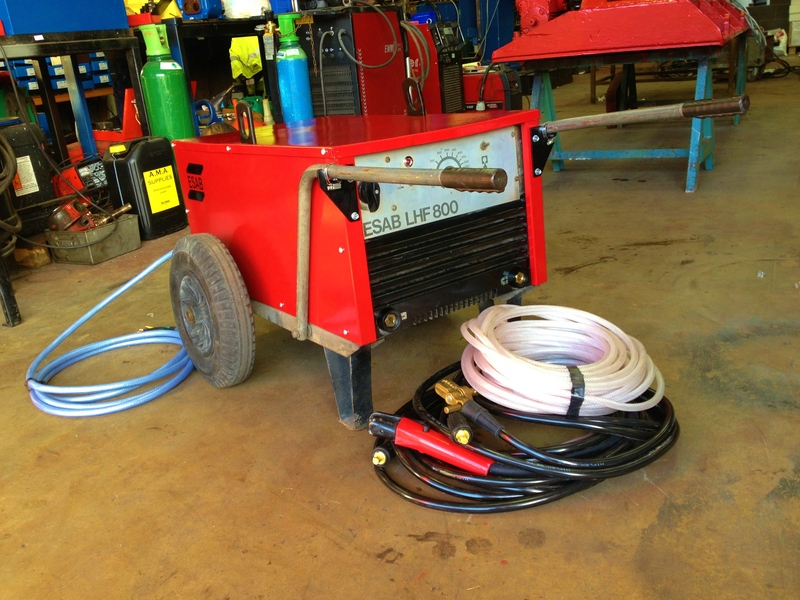 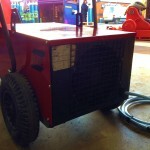 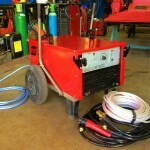 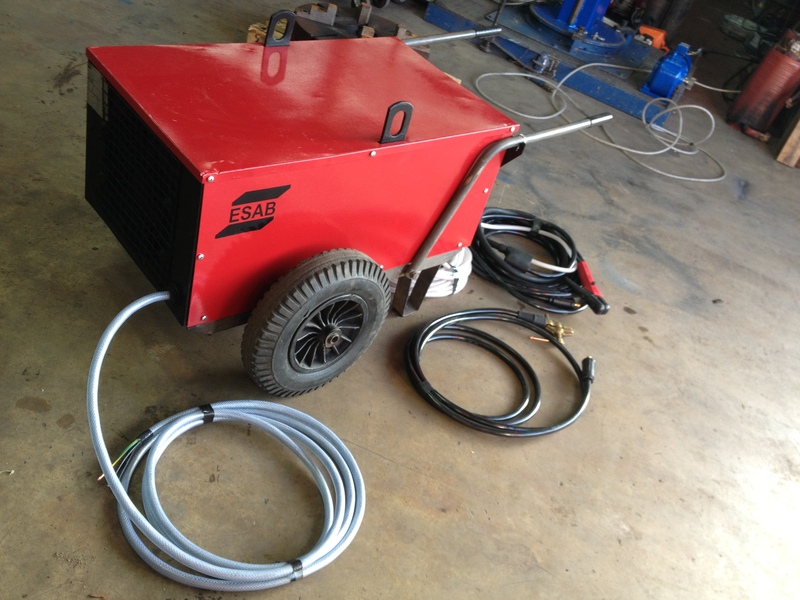 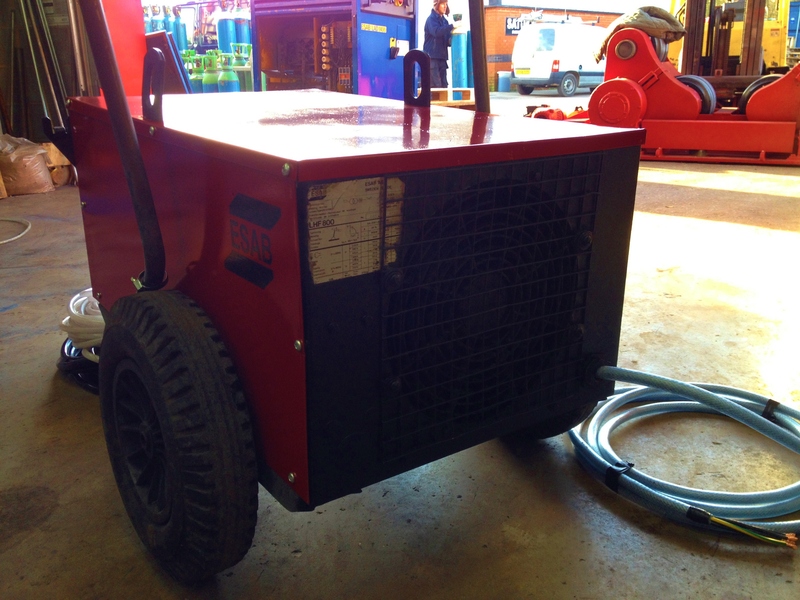 We also hire optional 240V and 415V 200ltr - 300ltr 3 - 10HP compressors as part of our air arc hire package. 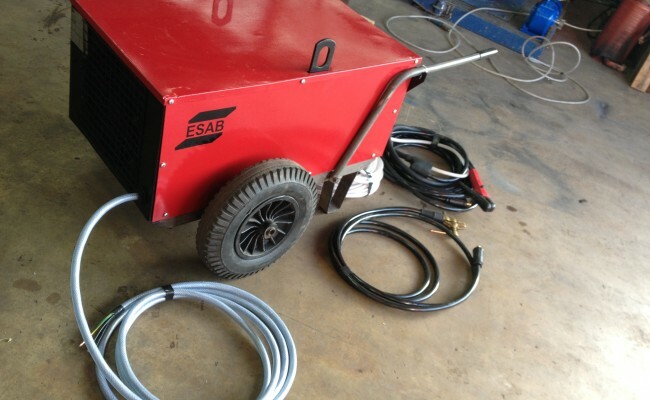 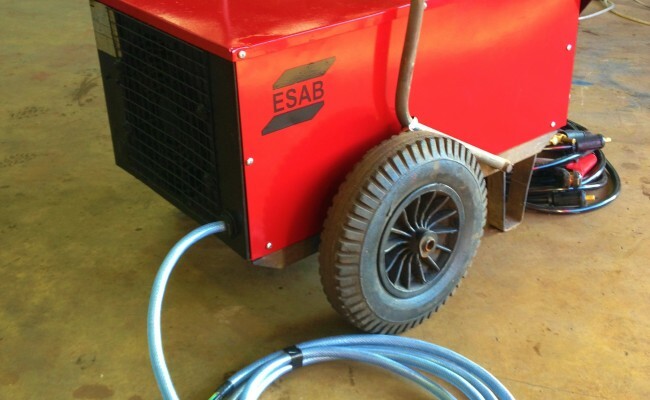 This ESAB air arc plant is extremely powerful, capable of utilising 800 amps @ 35% duty cycle, and for its size this power source at 295kg is easy to manoeuvre around site.